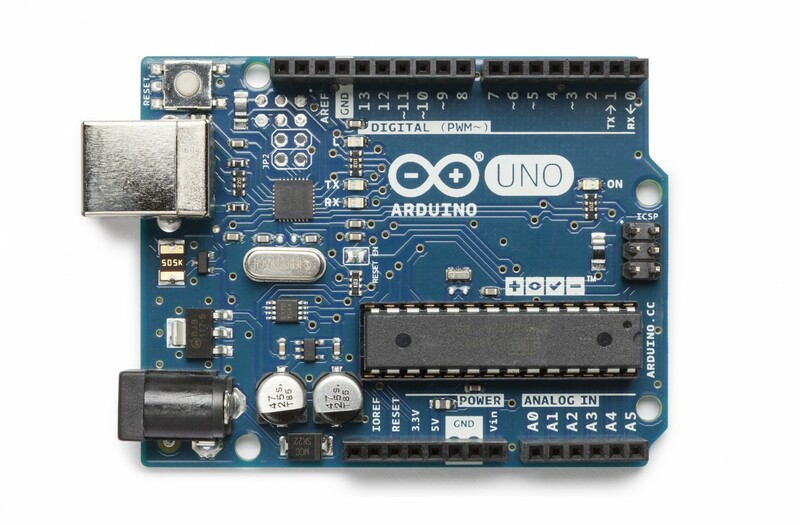 We will learn how to connect float switch to Arduino board and use it. It is normally used to notify if the tank is full of water or when it is empty. 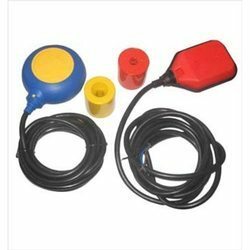 A float sensor is a device used to detect the level of liquid within a tank. The switch may be used in a pump, an indicator, an alarm, or other devices. 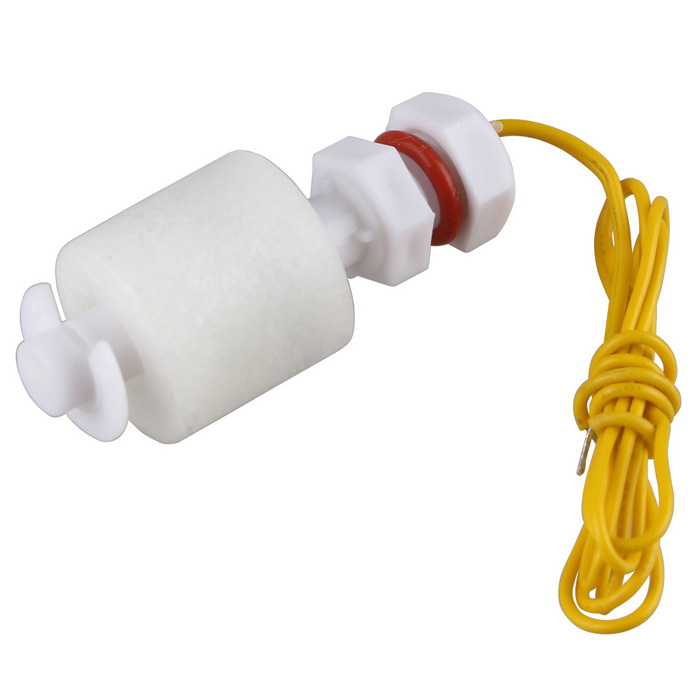 Magnetic float sensor is an electromagnetic ON/OFF switch. 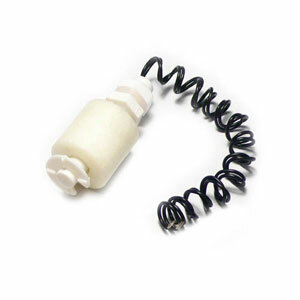 It helps to sense the level of water present in the overhead tank or sump. Works like your toilet float valve. When the water rises past a certain level the float rises and throws a switch. To complete a circuit, float switches utilize a magnetic reed switch, which consists of two contacts sealed in a glass tube. When a magnet comes close to the contact, they become attracted to each other and touch, allowing current to pass through. 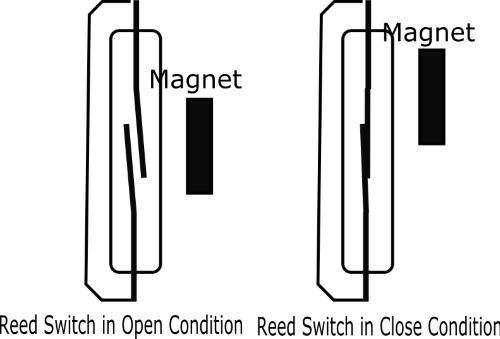 When the magnet moves away, the contacts demagnetize and will separate (breaking the circuit). Float Sensor which we have used is Normally Opened (NO), that is when the float is at its low point, resting on its bottom clip circuit will be open and when float is at its high point, it will complete the circuit. So, when the water level goes down float sensor breaks the circuit and attached led will get off. How to select correct float switch? When selecting a float switch for a liquid level sensing application, a number of factors need to be considered, including float switch and gasket materials, physical arrangement, electrical ratings and cable type. Float switch can transmit only two types of signal - level zero, level high A circuit can be design to start stop some process by receiving the signals from float switch. Common processes are sending low or high level alarm, starting or stopping water pump motor. Emptying type – On at floated upward position and off at clinging downward position. Filling type – On at clinging downward position and off at floated upward position. Water is at the bottom of the tank, float switch is downward position. Water in tank is at high level, float switch position is downward. In our project we are going to use vertical mount type sensor. The sensor comes with two wires: connect one to GND pin of Arduino board, another - to any digital pin of Arduino board (we used digital pin 7). 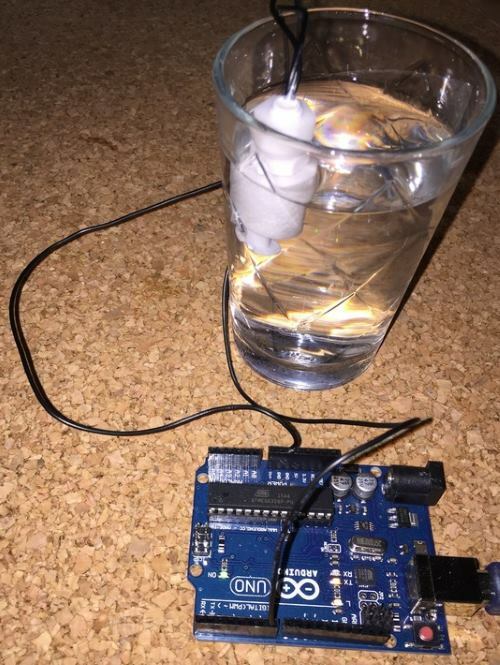 Put float switch in glass of water and check results. When float switch is up, you will see "1" and when float is down - "0". We learnt how to connect float switch to Arduino board and use it. 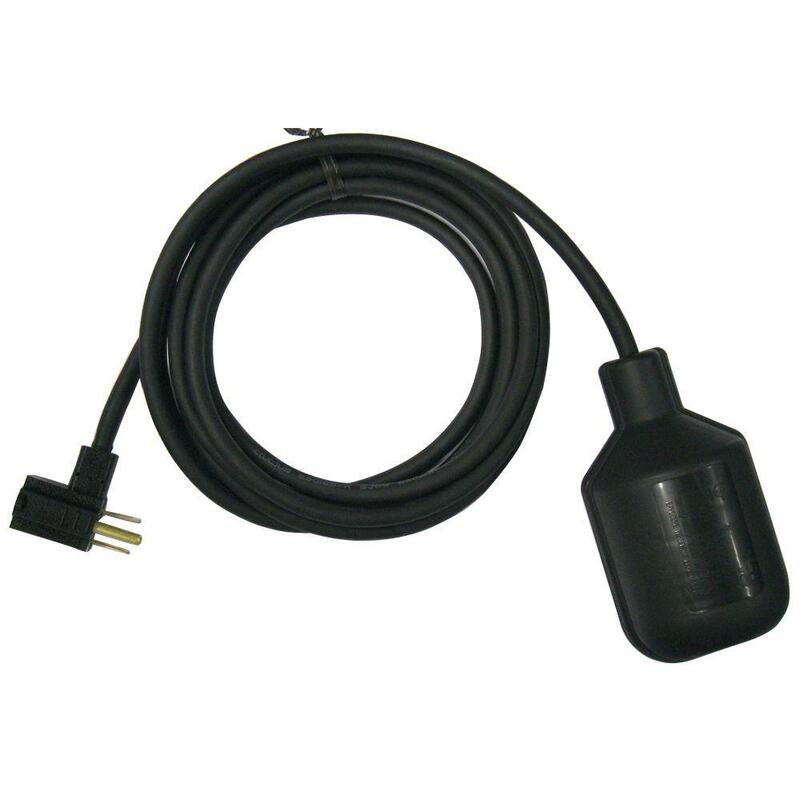 You could add a water sensor above the float switch as an overflow emergency shutoff. You could automatically refill your pet's water dish, or use it to make a fountain. You could make a punch bowl that never goes dry for a party. Can you think of a way to use this to water plants? What other things do you know of that would benefit from having a steady water level? Get creative and let us know!